Marietta, Ohio was settled in 1788. 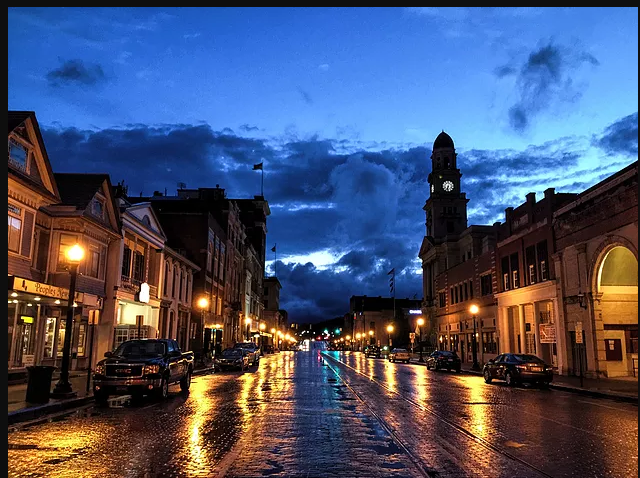 It is the oldest city in Ohio and the first American city outside the original 13 states. This blog tells stories about life in the Marietta area over the years. I invite your comments, suggestions, and additional information about any topic mentioned. Brick Streets are a signature part of Marietta, Ohio’s small town charm. 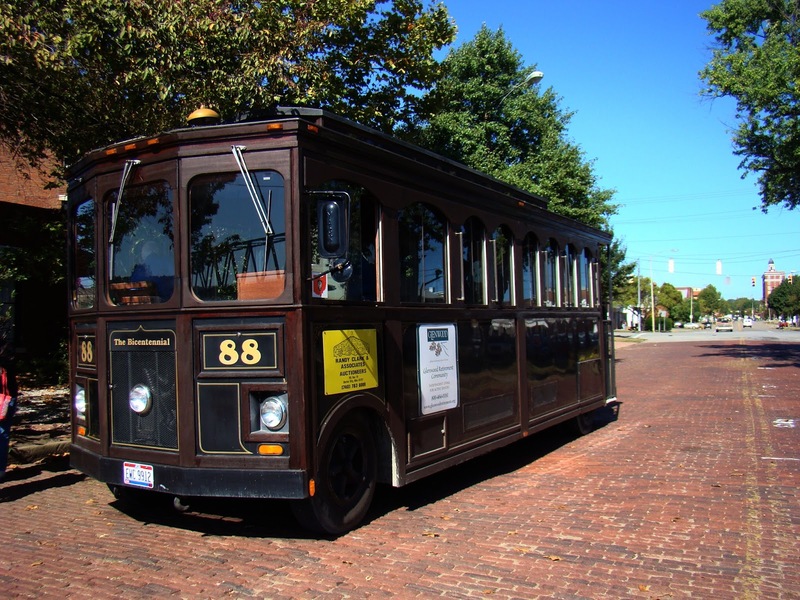 The Marietta Brick Streets Commission states that Marietta has more brick street mileage (about seven miles total) than any city in Ohio. I'm not sure how to fact check that, but it sounds good to me. Locals are proud of those brick streets as part of Marietta's historic vibe. But that has not always been so. But first, some background. Brick street paving began as an experiment in Charleston, West Virginia. A man named Mordecai Levi completed paving of Summer Street there in 1870. From that modest experiment, brick paving swept the nation in the late 1800s. Bricks were durable, readily available as brick manufacture expanded, provided a smooth surface, and promised to be low maintenance. Brick was a welcome solution to a problem shared then by all communities. Almost all streets then were unpaved dirt surfaces which were, uh, dirty. They became boot-sucking quagmires after a rain and dusty rutted hard pan in the summer. A “mud room” was a necessity in homes of the period, not just the quaint convenience of today. Paving with brick became quite sophisticated. 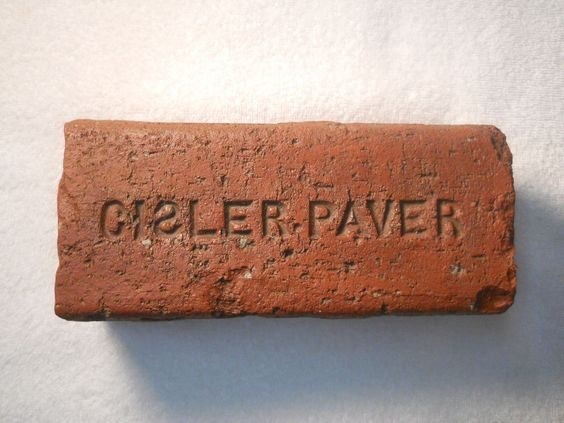 Specialized bricks called “pavers” were created for strength and durability. They were larger than “facing bricks” used for buildings and weighed about 10 pounds. Pavers were fired at a higher temperature, producing a glazed surface which was more water and corrosion resistant. Marietta brick makers, such as Cisler and Acme, manufactured pavers. Paving projects were engineered in detail. Preparation of the foundation under the bricks was critical. Gravel and sand were most often used. The subsoil was excavated and rolled to provided a compacted base. Bricks were laid down, curbing installed, and then the bricks were rolled a final time. Then sand, tar, or a concrete grout was used between the bricks once they were laid. Marietta first paved parts of some streets with brick in 1892, then continued adding streets over the next 20 years. Marietta’s brick paving was mentioned in national settings on at least two occasions. Some seven years ago, I made and furnished vitrified brick for paving three streets in the historic city and key to the Northwest, Marietta, Ohio...It is a common scene in early morning to see four or six big and powerful horses hauling monster steam boilers over these streets to the different oil fields of which today she is the center, and has one of the largest boiler shops in Ohio. I procured a testimonial only a few weeks ago, attested by the city officials, stating that, while the brick have been down for seven years the pavement shows little or no signs of wear, and is good for many more years. This is the unvarnished truth, and defies any other kind of paving material to produce such a record, not having cost the city a single cent for repairs, nor is it likely to during the life time of the present generation at least. 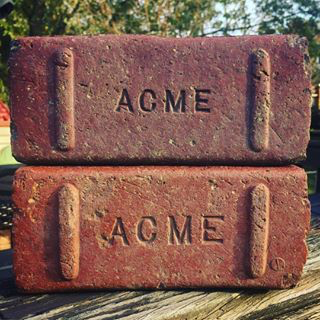 Jones not only promoted his brick but Marietta as well. I don’t know if he was given the contract for brick in Fort Worth. You may have noticed that Jones mentioned “...horses hauling monster steam boilers.” Horses. There were no autos or trucks yet. But paved streets were still essential. Marietta followed a rigorous legislative procedure for paving in Ohio cities. The portion of cost for pavement fronting private property was assessed to the property owners. The City Civil Engineer prepared an estimate; City Council approved; the Engineer then prepared detailed specifications; Council passed a “necessity resolution,” requiring a three-quarters majority, with details of the proposed plan. Property owners were given a copy of the resolution. After 30 days if there were no objections or other problems, a "paving ordinance" was passed by City Council. The City then borrowed the money through the issue of assessment bonds with payments spread over 10 years. Next they advertised for bids for the paving. City Council Paving Committee was the overseer of the work; the city civil engineer was the Superintendent. Different from today. Hathaway gave a refreshing statement on the ethical aspects of the paving work. He implied that City Councils should administer the projects, not politically motivated "boards, claimed to be non-partisan" (but not accountable to voters) appointed in some large cities. He further professed that "In (Marietta), politics do not enter into the city elections and, so far, we have not had the troubles incident to politics in large cities." He further admonished that paving projects contracts "should be handled with economy and honesty" for the protection of property owners who funded a large part of the projects. Hathaway recommended a repressed shale block type brick for the paving. Such bricks should have beveled edges which gave horses "a better foothold" and was less subject to breaking and chipping than sharp edged bricks. He pointed out that a Marietta street "subject to heavy traffic" paved three years earlier with this type of brick, had shown no wear. Brick durability was a function of "skill in burning the brick properly. "A perfectly annealed brick like a fine tempered piece of steel will outlast the man who made it." He praised Marietta's wide streets, crediting the founding Ohio Company's street layout with the phrase "They builded better than they knew," referring to something that turns out better than anyone could have imagined. "Bicycles are here to stay," he presciently observed, stating that widespread bicycle use has given urgency to the need for good roads. Automobiles were still a decade or more over the horizon. Good roads, he stated, were a municipal necessity and "evidence of its progress in civilization," similar to "bath rooms and water works." Brick paving was mostly over by the 1920s and 30s. Asphalt and concrete were considered superior for auto and truck traffic. Nationally, thousands of miles of brick streets were paved over for a smoother ride, increasing vehicular traffic, and less noise for residents. The same is true in Marietta. Most of the arterial streets, formerly brick, are now asphalt. But the paving over of Fourth Street in the late 1960's prompted protest from those favoring historic preservation. No brick streets have been paved over since. In 1988, then Mayor Nancy Hollister created a Brick Street Commission to encourage preservation of Marietta’s brick streets. The Commission researched brick streets, made an inventory of existing brick streets, developed a recommended maintenance program. They also drafted an ordinance to protect brick streets which City Council enacted into law. Night Scene of Putnam Street with light glistening off the brick pavement. Brick street maintenance is a constant challenge. Specialized expertise is needed to remove the bricks, correct drainage or other problems, then re-lay them. It can be time consuming, sometimes straining the City’s staffing and finances. Work in recent years has been done by City Street Department workers. The future of brick streets in Marietta seems assured for now, thanks to current policies. But constant diligence, patience, and investment will be needed to continue the legacy. Really, I appreciate this blog content. Thank you for sharing this blog. We CLOSED JOINT-STOCK COMPANY AGS-OIL is one of the leading Oil & Gas trading companies in Russia Federation with good business reputation and well experienced in the Petroleum and mining sector. We offer the following trades through our reliable Refineries: D2 DIESEL OIL GOST 305-82, JP54 AVIATION KEROSENE COLONIAL GRADE, UREA 46%/PRILLS, LNG, LPG, REBCO, MAZUT100 GOST 10585-75/99, AUTOMOTIVE GAS OIL(AGO). We as well secure allocations from our various Refineries for our numerous buyers who are interested in Spot transactions on FOB/CIF deliveries to any world safe port (AWSP). Our Refineries have their products both at Russian ports and Rotterdam port. we also have a reliable SHIPPING COMPANY if you are in need of find the contact bellow. David Putnam, Jr., Conductor on the UGRR. All Aboard! 2004 flood 53rd Ohio Volunteer Infantry A. G. Hovey Aaron Burr abolitionist Abraham Lincoln Acme Brick Adena Adena tablet Alfred M. Landon Antietam Arthur St. Clair Arthur St.Clair Aurelius Township Ball Barker Battle Hymn Battle Hymn movie Battle of Quebec beautification Belpre Benedict Arnold Quebec expedition Benjamin Tupper Bilious Fever Blackberry winter Blennerhassett Island Bob Kepler Bounty Lands Brick Street Commission Brick streets Bricks bridge inspection Burning Springs Bushrod Creel C & M Amusements California House Campus Martius Museum canoe Capitolium Capt. Jonathan Heart Captain James Selby Captain John Green Captain Pipe Captain William Dana CARRIE BROOKS Catherine Fay Ewing celebrations cemetery Century Review Charles Whittlesey Charlotte Scott Children's Home Cholera Christmas Cicadas Cisler Brick Cisler Terrace Civil War Colonel John May Colony Theatre Confederate Congregational Church Conus Cornplanter Council House Court of Quarter Sessions Cow Run Crucible Steel Dan Baker Dan Cawley Daniel Morgan Daniel Story David McKain David Putnam Jr. Dean Hess Declaration of Independence deer diarrhea Dime Bank Dime Savings Society dogs Doodlebug Douglass Perkins drunkenness Druscilla Williams Dutton well Ebenezer Sproat Edward Low Edward Tupper Enoch McIntosh Ephraim Cutler Ephraim Cutler Dawes Eyebar Falls of the Muskingum farmers FDR Fearing Township fishing floating dormitory Floods food shortage Fort Harmar Franklin Roosevelt freezing temperatures French 500 French and Indian War French Revolution Front Street frozen Muskingum River Gabby Gallipolis gas General Harmar General Josiah Harmar General Richard Montgomery General Wilkinson George Washington Gold Rush Governor Arthur St. Clair Grave Creek Mound Great Depression Gutzon Borglum Hamilton Kerr Harman Blennerhassett Harmar Harmar Bridge Harmar Company help for sick and needy Henderson Hall Henry Burke Hildreth Hippdrome Theater Hiram Carpenter Bridge Hoag holidays Hopewell culture Hopewell earthworks horses Hotel Lafayette Hunting Hurricane Ivan Indian Mounds Indian Treaty indians Interstate 77 Interurban Isaac Williams It's a Man's World Jack Nicklaus James Backus James Mitchell Varnum James Varnum John Baptiste Regnier John Greiner John Quincy Adams Joseph Barker Joseph Brant Joseph Buell July Fourth Kanawha River Kanawha salt works L. W. Phillips land companies Lewis and Clark Lewis Wetzel Lillian Cisler Liquor Liquor license liquor sales Low Tablet Macksburg Major Ebenezer Denny Mammoth Cave Marietta Marietta College Marietta College. Marietta Country Club Marietta earthworks Marietta Gold Hunters Marietta OH Marietta Ohio Marietta Times May Meriwether Lewis militia Monument to Start Westward Mound Cemetery Mummy Muskingum River Nahum Ward Nathan McIntosh National Weather Service Noble County Northwest Terrirory Northwest Territory Northwest Territory laws Northwest Territory Sesquiennial Celebration Ohio Ohio Company Ohio Company of Associates Ohio Constitutional Convention Ohio Historical Society Ohio Open Ohio River Ohio River Museum Oil Oil and gas Old English Sheepdogs pavers paving Peoples Bank Theatre pioneers Point Pleasant preachers President Franklin Roosevelt Presidential Visits Presidents Day Quadranaou railroad Rebecca Williams Return Jonathan Meigs Sr Revolutionary War river Rock Hudson Round and Round Below the Railroad Tracks Ruffner Brothers Rufus Putnam S. Durward Hoag Sacra Via salt salt drilling Samuel Hildreth Scottish farmers Seeing the Elephant Seymore Hathaway Shea Theater Company slavery Slaves smallpox Snow social programs Solomon Drown spirits spring pole squirrels steamboat steamboats Steamer Rufus Putnam Sterling Brick Sternwheeler Stone Mountain summer job Surveyor suspension bridge teachers Tegunteh Tess Thanksgiving The Woman's Home Thomas Cisler Thomas Jefferson Thomas Wallcut Thorla McKee well tomahawk claim Tomlinson family train trains Treaty of Fort Harmar Treaty of Paris Underground Railroad Union Vaudeville Virginia Regiment W. P Snyder Jr Washington Country Club Washington County weather wildlife William Flood William Rathbone Williamstown winter winter of 1977 Winter solstice sunset World War II veterans. Dave is a retired financial advisor who likes the outdoors, community service, and local history. He's the one on the right in the profile picture.